The ABSL Association has signed a partnership agreement with strategic partners for the 2019-2020 period. 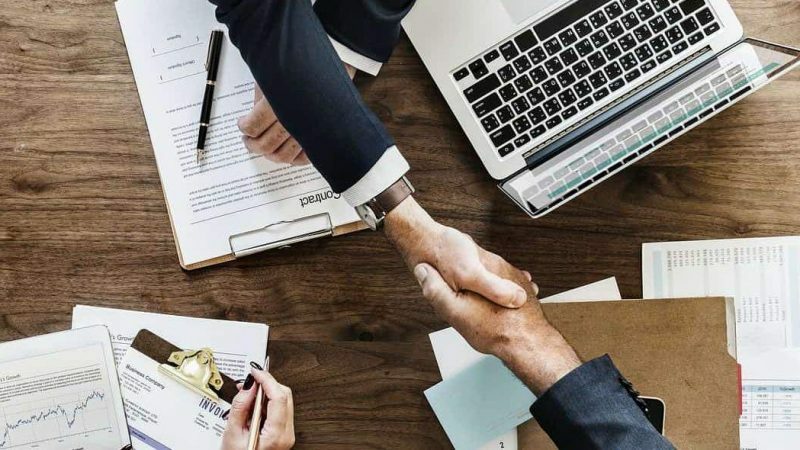 The goal of the partnership with the Deloitte, D-ploy, The Hackett Group and JLL companies is further development of the business services sector in the Czech Republic and support of all ABSL members, as well as new investors coming to the Czech market. In this spirit JLL will provide consultancy in the field of analysis of the office market, seeking out office space and designing inspirational working environments. The Hackett Group will provide professional development, training and certification services for Global Business Services professionals, through the offerings of The Hackett Institute. D-ploy will support ABSL in the field of establishing an effective IT environment and outsourcing IT services, and Deloitte in the field of tax, legislation, process and technological issues. The business services sector in the Czech Republic has matured during its fairly brief existence. This sector is no longer about executing simple processes, such as entering invoices to the accounts, but about highly qualified work in fields such as IT, research and development, logistics, marketing, HR or finance. Centres active in the Czech Republic are working intensively on optimising processes, improving the quality of services and adopting modern technologies, which means greater effectiveness and a better customer experience. This means that centres are able to expand their scope, which results in the need for a rising number of talented and qualified workers to whom they must be able to offer a premium working environment, high-quality corporate education and first-class equipment. Our strategic partners enable us to provide this support on a first-class level and in compliance with our Vision 2025, which determines the direction of our sector’s future development. We are convinced that business services are a sector of the future and will soon become the most important pillar of the Czech economy. In 2019/2020 ABSL will continue its previous successful partnership with its partners Deloitte and JLL and will develop new activities with the D-ploy and The Hackett Group companies. We will continue the partnership with the JLL Company in the field of real estate consultancy. “We are pleased that we can work on surveying the needs of employees in the business services sector and on creating innovative working environments in cooperation with the ABSL and its members during the oncoming period,“ said Petr Kareš, head of the Tenant Services Department at JLL. The partnership with the Deloitte Company will continue to primarily concern optimisation of company processes and implementation of automation using robots. However, consultancy in the field of human resources is also a great benefit to companies in the business services sector. says Milan Kulhánek, Partner, Consultancy Services Department at Deloitte. The Hackett Group has become a new strategic partner, which can make a significant contribution to the development of human resources in the business services sector. There’s a large and highly educated workforce in the Czech Republic, but competition for employees has become fierce. “By investing in The Hackett Institute’s professional development offerings, companies can provide enhanced career opportunities for employees, improve staff loyalty and control attrition, enabling organizations to drive bottom line growth. Our training programs have the proven ability to help companies improve the efficiency and effectivenss of their shared services and global business services operations. With The Hackett Institute, companies can equip staff with the skills and capabilities they need to be more successful on their digital transformation journey,” said The Hackett Group Senior Director Ben Hartfield. The sector is also significantly affected by modern technologies. ABSL has therefore acquired a new partner in the form of the D-ploy Company, which will be able to help with strategic planning of IT and advise how to utilise the potential of information technologies to achieve cost effectiveness, scalability and sustainability. “We have experience with a number of successful outsourcing and nearshoring projects, which have allowed our customers to concentrate on their main business activities, while simultaneously making use of the advantages of the right range of IT, without having to bear the burden of establishing or maintaining in-house IT departments. We want to capitalise on this experience in our collaboration with the ABSL and its partners,“ said Lukáš Kaňka, CEO, D-ploy. Deloitte refers to one or more of Deloitte Touche Tohmatsu Limited (“DTTL”), its global network of member firms, and their related entities. DTTL (also referred to as “Deloitte Global”) and each of its member firms are legally separate and independent entities. DTTL does not provide services to clients. Please see www.deloitte.com/cz/onas to learn more. Deloitte provides audit, consulting, legal, financial advisory, risk advisory, tax and related services to public and private clients spanning multiple industries. Deloitte serves four out of five Fortune Global 500® companies through a globally connected network of member firms in more than 150 countries and territories bringing world-class capabilities, insights, and high-quality service to address clients‘ most complex business challenges. To learn more about how Deloitte‘s approximately 244,000 professionals make an impact that matters, please connect with us on Facebook, LinkedIn, or Twitter. We attract, nurture and reward the best and most diverse people in our industry, who develop enduring client relationships built on quality service, collaboration and trust. Our 70,000 people across 1,000 locations in 80 countries serve the local, regional and global real estate needs of corporates and investors, delivering integrated commercial real estate services built on insight and foresight, sound market research and relevant knowledge. For more information visit www.jll.cz.